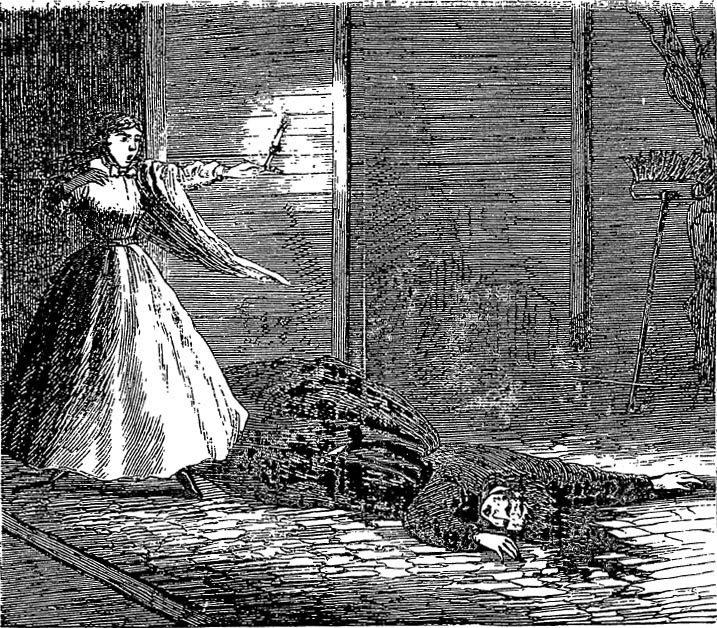 Murder by Gaslight: Scenes from the Murder of Mary E. Hill. 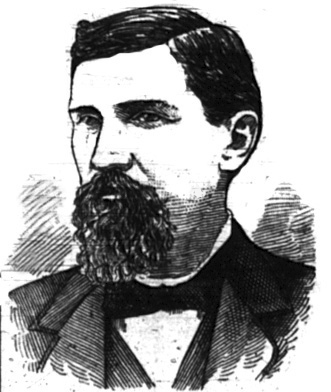 Scenes from the Murder of Mary E. Hill. 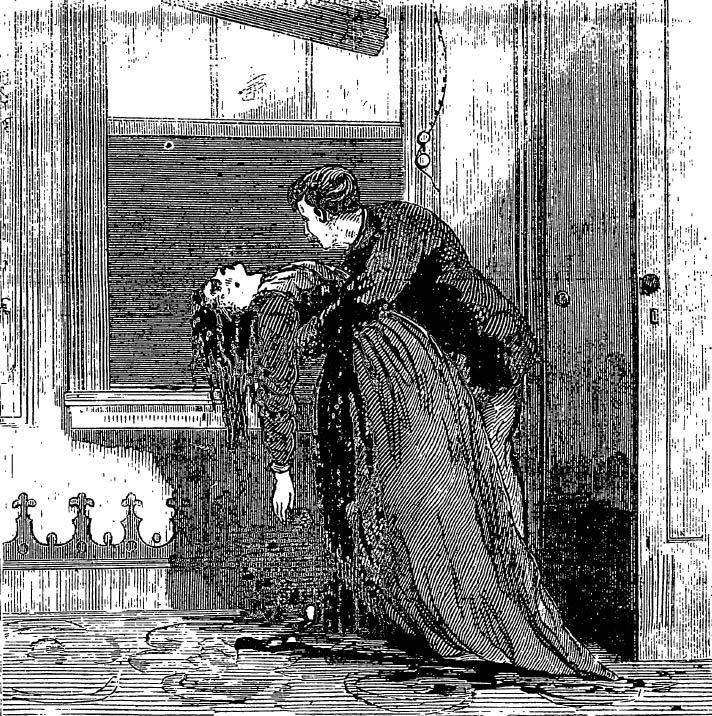 On November 22, 1868, the body of Mrs. Mary E. Hill was found on the ground outside of her Philadelphia residence. 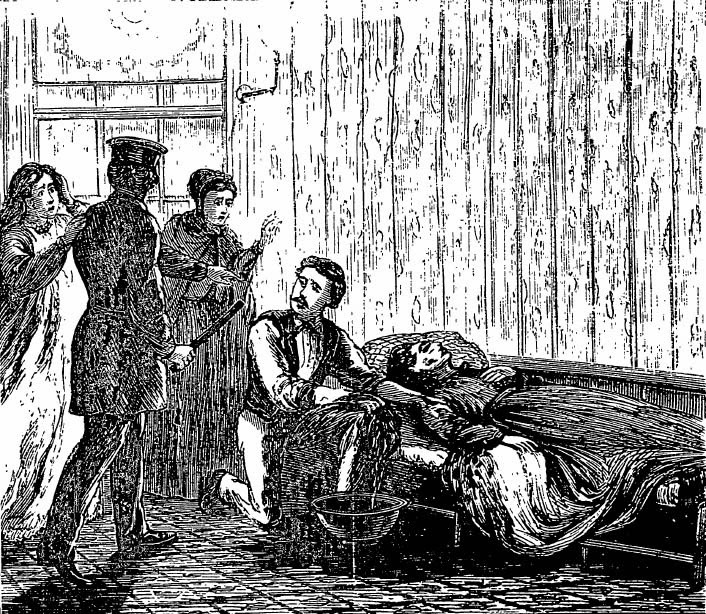 It did not take the police long to realize that she had been beaten to death and her corpse thrown out of a second story window. 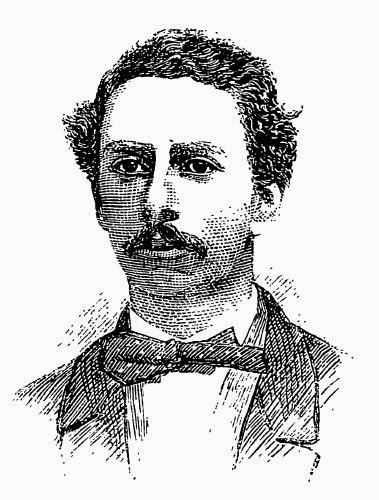 Following the verdict of the coroner’s jury, Frank Leslie’s Illustrated Newspaper published a full page of illustrations depicting the people, places, and events involved in the crime. Murder by Gaslight has already covered this case in detail here: Cheating the Gallows. 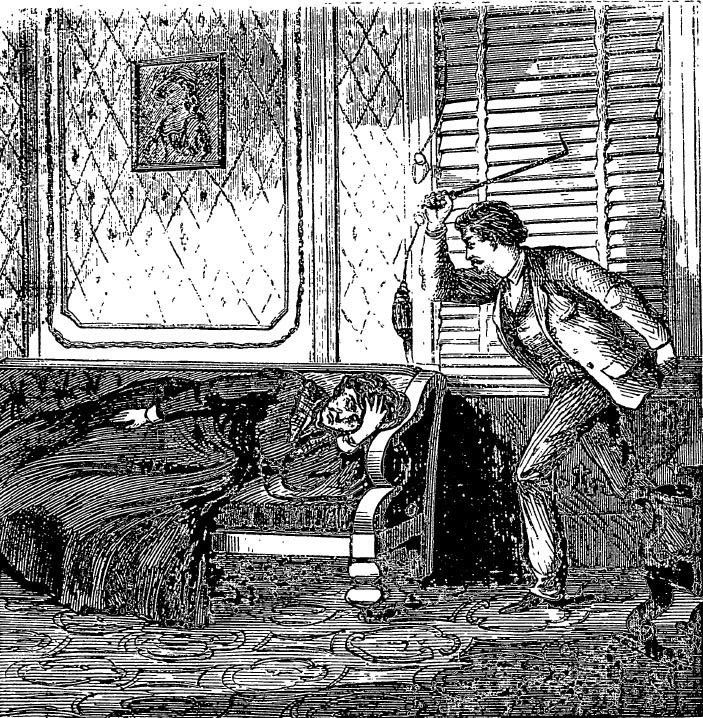 Following is a pictorial summary of the murder, using Frank Leslie’s illustrations. 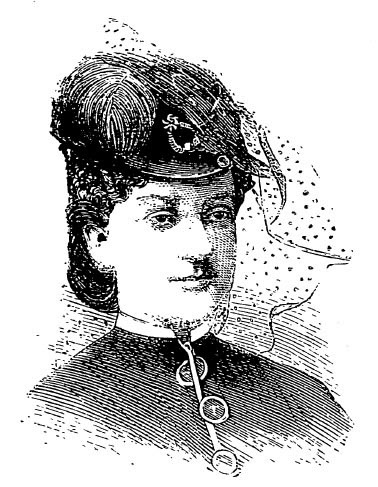 About four years before the murder, Mary Hill’s daughter Camilla married George Twitchell and moved to Philadelphia where Twitchell started a produce business. 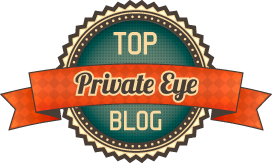 When Twitchell’s business failed, the couple moved in with Camilla’s mother, a wealthy widow with a large house on the corner of Tenth and Pine Streets in Philadelphia. Outwardly, the arrangement seemed amiable, but Twitchell and Mrs. Hill were constantly arguing about money. While coming home from church, the night of November 22, 1868, Sarah Campbell, a servant girl, found the body of Mrs. Hill, lying on the brick pavement outside the house. Finding the Body of Mary Hill. Twitchell first claimed that Mrs. Hill had accidently fallen out of the second story window, but when police investigated, it became obvious that she had been beaten to death in the dining room, the body was dragged to the sitting room and thrown out the window. Throwing the Body Out the Window. Twitchell said the murder must have been done by burglars after the money that Mrs. Hill always carried in the bosom of her dress. The police believed that Twitchell, himself, killed Mrs. Hill and arrested him at the house. The Arrest of George Twitchell. Coroner’s jury agreed with the police and George Twitchell was indicted for the murder of Mary Hill. Read the rest of the story here: Cheating the Gallows. 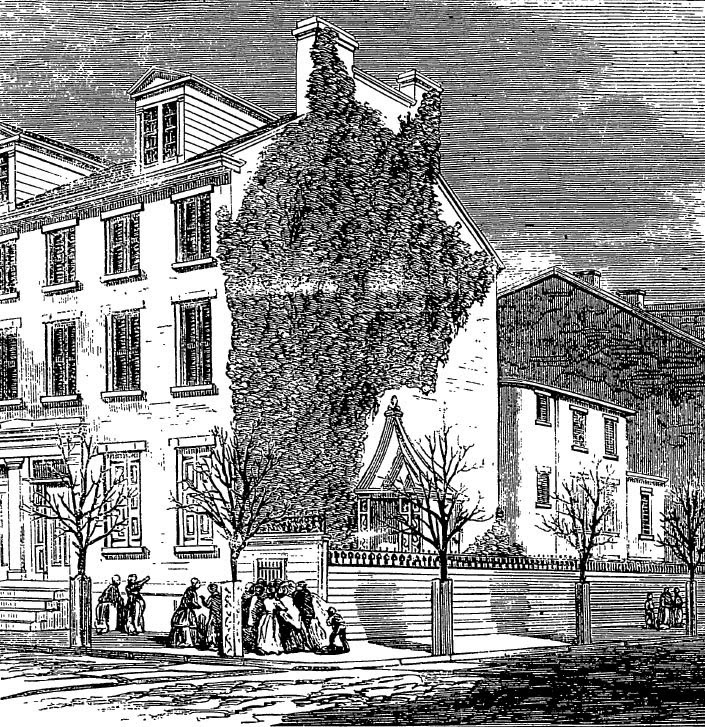 "The Murder of Mrs. M. E. Hill, at her Residence in Philadelphia, November 22d." Frank Leslie's Illustrated Newspaper 12 Dec 1868. Fascinating illustrations from "Frank Leslie's..." It was my great- grandmother's favorite magazine. She was such a devoted reader she named my grandfather Frank Leslie. We're just happy her favorite wasn't "The Gazette" or worse.